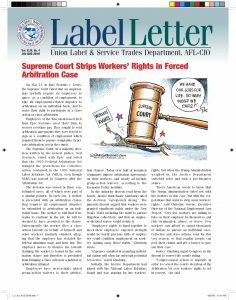 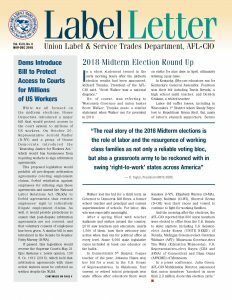 The Label Letter is the official newsletter of the Union Label & Service Trades Department, AFL-CIO. 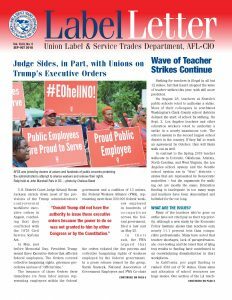 The newsletter is published bimonthly by the and includes the Do Buy and the official AFL-CIO Boycott Lists. 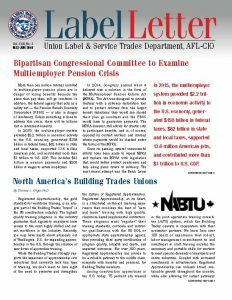 Subscriptions are available to members only. 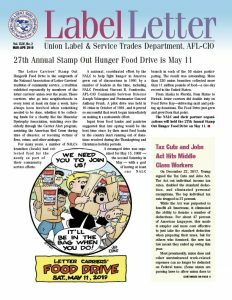 With the exception of copyrighted material, permission to reprint is hereby granted, but credit to the source is appreciated. 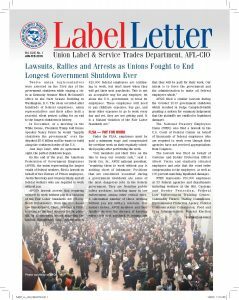 Sign up here to receive the Label Letter at your home or office.